Right to Write is an integral part of Jo Richardson Community School, both because it enables our students to develop their literacy skills and because it encourages pupils to explore subjects they feel passionate about in more depth. Over the year of 2016/17, students have continued to create projects across a vast range of subjects, from Physical Education to English. This year, Right to Write has seen some exciting changes that have enabled students to be even more independent with their literacy skills. From new topics, such as a creative writing in Music to a ‘jumping frogs’ investigation in Maths, students have certainly enjoyed a wide variety of topics that have really challenged and stretched their minds. Last year, Student Voice feedback really encouraged the creative element of Right to Write and students requested more opportunities to explore their subjects in an imaginative way. As a result, the Literacy Team launched its first ever Right to Write Creative Writing Competition, which challenged KS3 students to write a short descriptive writing piece based on the Victorian period. The competition drew upon skills that students had been learning throughout the year in lessons, yet it enabled them to think independently and imaginatively about the topic. It also provided students with a head start to their GCSE English exams as students enjoy a variety of texts from different time periods, including ‘Dr Jekyll and Mr Hyde’ from the Victorian Era. A brilliant number of students participated in the event and even attended a creative writing workshop held by the school to develop their skills. Moving forwards, Student Voice feedback this year was overwhelmingly positive for Right to Write. One Year 9 student commented on how “it’s really helpful for GCSE because it helps us understand how to write properly”. A number of students also recognised that the project really challenges them, with one student saying that they found it “difficult in a good way”. At JRCS, we are proud that students feel both challenged and supported to aspire for more. Overall, some students commented on how they felt they did not have enough time to complete projects in some lessons and this is certainly something we will look into so that students feel they can fully explore their ideas – if anything, we are happy that students are so passionate about their projects that they would like more lesson time! Some students also commented on how although completing a project for every lesson is undoubtedly beneficial, at times deadlines would be close together. Starting in in September, we will be looking at ways to ensure that students feel fully supported – these skills will also be invaluable for GCSE preparation as KS3 students learn how to manage their time effectively. 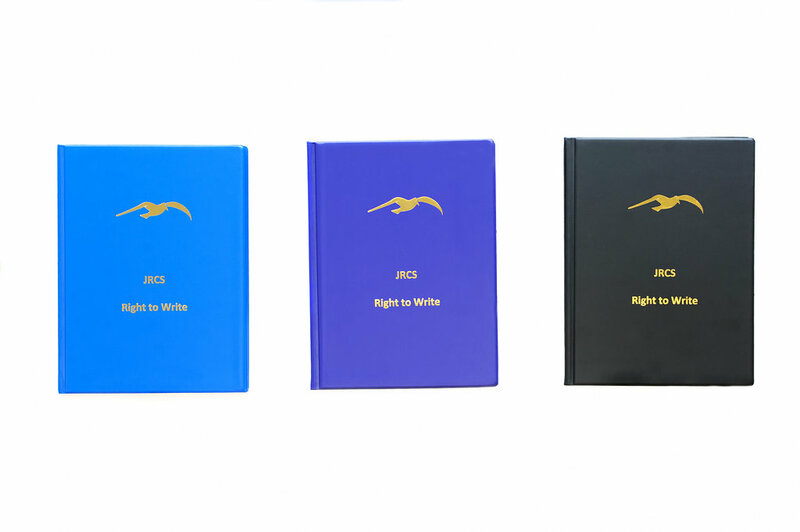 Overall, JRCS has seen another successful year of Right to Write and we will continue to work hard to ensure that the project strengthens our students’ confidence in writing. Undoubtedly, we have seen a huge improvement in the literacy of our first cohort of students who participated in the scheme. The pride and joy that students have in receiving their final folders on their celebration evenings will continue to make all of the hard work and effort worthwhile. There are lots of exciting projects on the horizon in 2017/18 and we look forward to what the new year holds. Thank you to all of those involved in the project this year – it is the hard work of individuals that makes us an unbeatable team here at JRCS!